Have you ever noticed how many little flowers are in a beautiful lilac cluster? 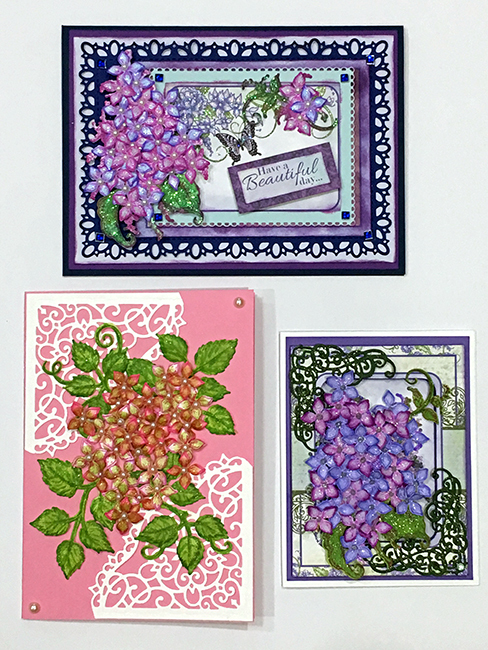 I'm sure the number varies in nature; however, on each of the cards I created in the Lush Lilac Card Class at Personal Scrapbook last week, we used 28 individual flowers! 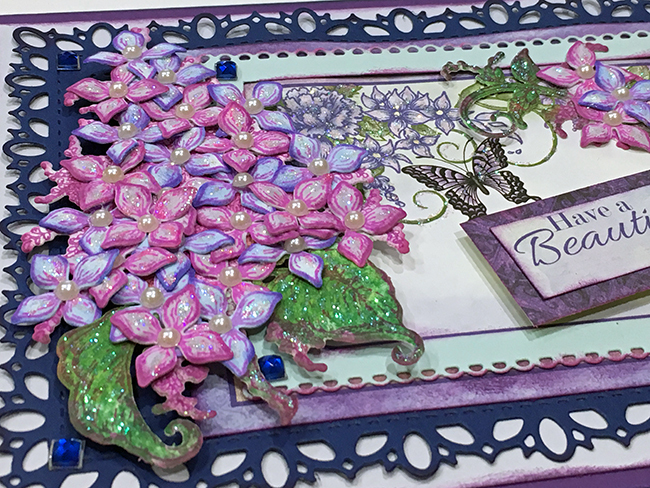 The flowers were created using the Heartfelt Creations Lush Lilac Stamp, Die & Shaping Mold Kit. 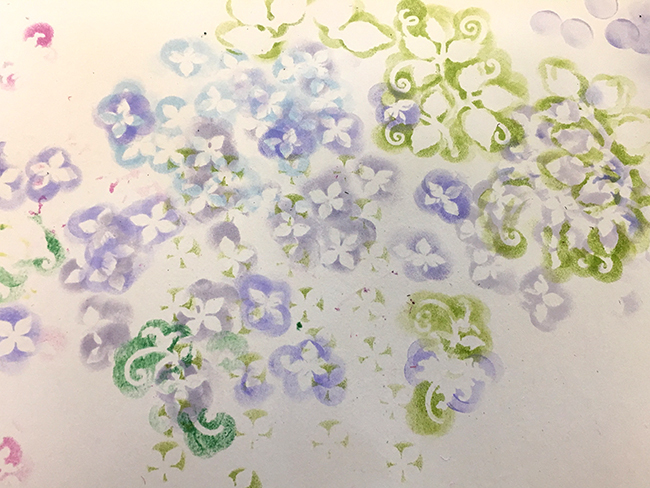 The class instructor had already stamped & die cut the lilacs, so our first task for each card was to color the flowers using inks and daubers. 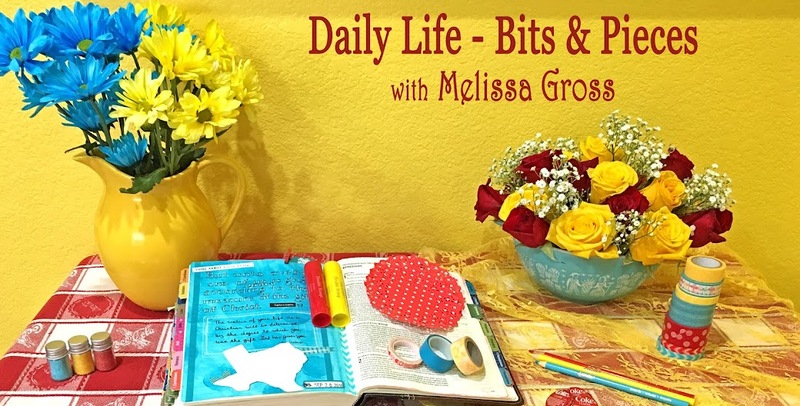 This simple step made quite an interesting collage on my working paper (which I've kept to use on an art journal page). 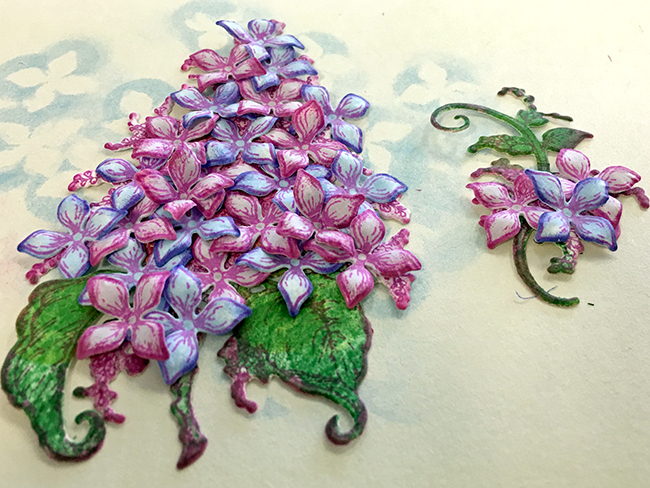 Next we ran the flowers through the Lilac Shaping Mold & attached them to the stem and swag bases. We assembled the cards, then added accents to each flower. 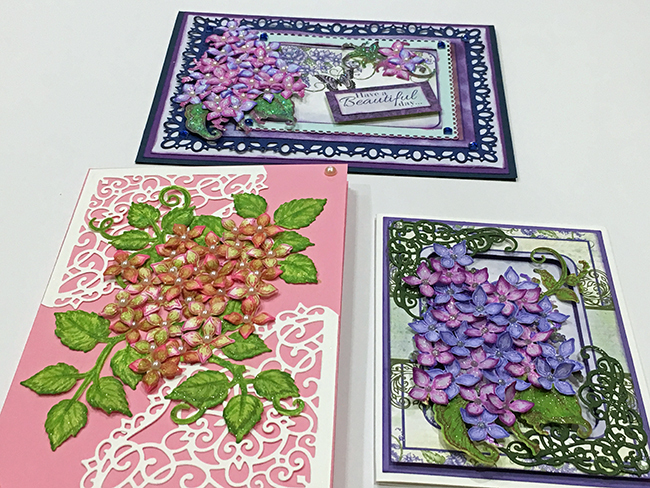 For the first card, I added pearl centers, then used Stickles to add shimmer to the flowers and leaves. 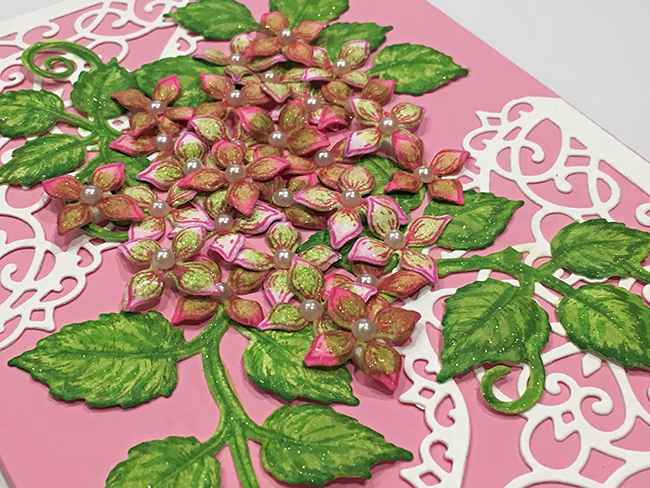 The flowers on the second card also have pearl centers; however, I used Wink of Stella pens for the added shimmer (clear on the flowers & green to outline & add veins to the leaves). 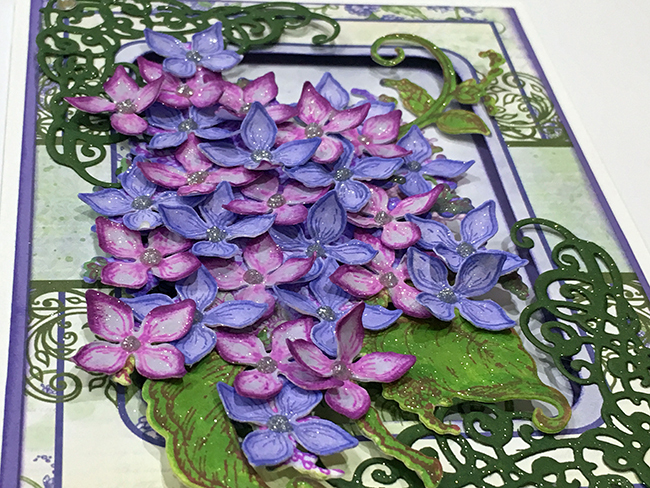 For the center of the flowers on the final card, I used Nuvo Crystal Drops, and used the Wink of Stella pens again for the additional shimmer. Did you notice how the flowers have a little different shape on the final card? That's because we ran them through the Lilac Shaping Mold face up instead of face down, which is an easy way to create a different look. It was so much FUN learning little tips like this in the class! We even received a 5x7 canvas for those who wanted to display the "Have a Beautiful day" as a mixed media home décor piece (rather than using it as a card front). As you can see, these cards have a good bit of dimension and turned out beautifully. I've already sent two of them off to special friends! 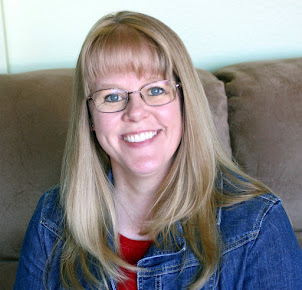 Have you tried any of the Heartfelt Creation products? Do you have a favorite? Oh such pretty cards. They all look like works of art, such detail & fussy cutting - you have lots of patience. What gorgeous, elaborate cards! I've never seen anything quite like them. I do like that paper you saved. It would make a beautiful background for another card as well as in your journal.